Configurable as 16 single-ended channels or 8 differential channels. 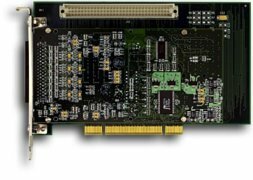 The PC104P-16AIO-41 board provides cost effective high-speed 16-bit analog input/output resources on a standard single-width PC104+ module. 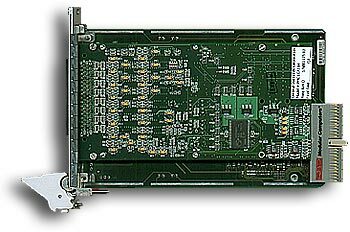 Four analog output channels can be updated either synchronously or asynchronously, and support waveform generation. Internal autocalibration networks permit calibration to be performed without removing the board from the system. 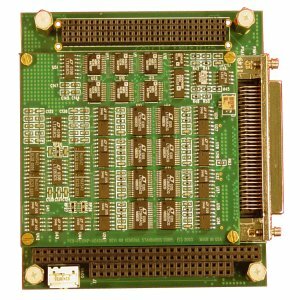 Software-controlled test configurations include a loop back mode for monitoring all analog output channels. Gain and offset correction of the analog input and output channels is performed by calibration DAC’s that are loaded with channel correction values during autocalibration. 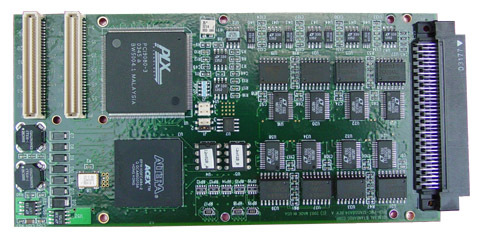 A digital I/O port provides 16 bidirectional data lines and two auxiliary I/O lines. The analog inputs are software-configurable either as 32 single-ended channels or as 16 differential signal pairs. 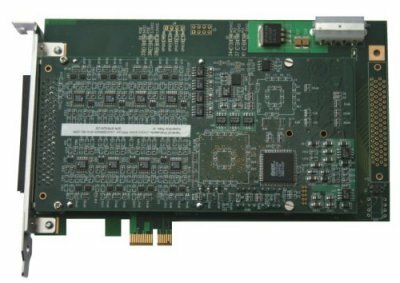 Buffer amplifiers on all input lines eliminate multiplexer input switching noise, and minimize crosstalk and input bias currents. Analog input data accumulates in a 32K-sample buffer until retrieved by the PC104+ bus. 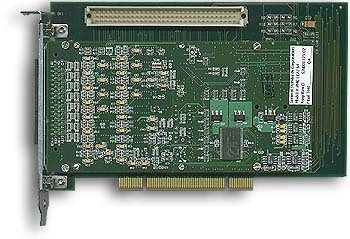 Each of the four analog output channels contains a dedicated 16-bit D/A converter and an output range control network. The board receives analog output data from the PC104+ bus through a 32K-sample FIFO buffer.